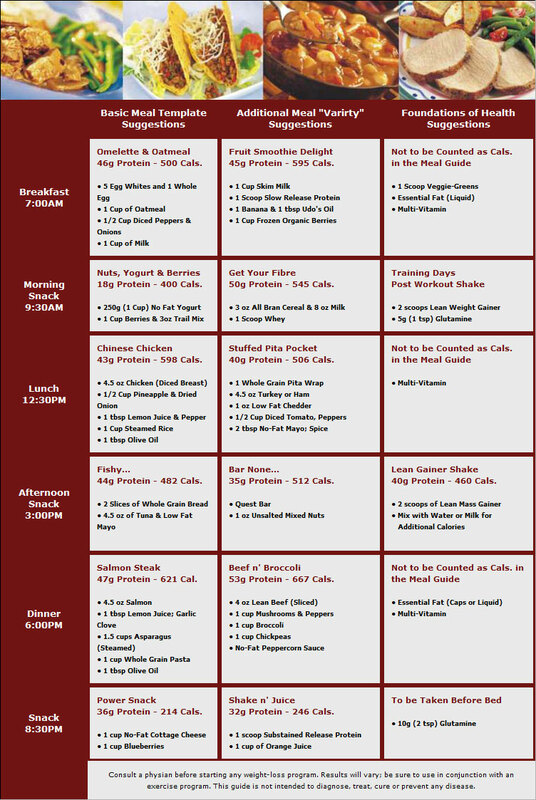 What to Eat to Gain Lean, Hard Muscle Mass! Getting there a little bit faster ... The performance edge! Gaining lean muscle mass takes time, effort and dedication to some basic principles — eating, sleeping and training. Simply put, if you are failing in one of those three basics you are not maximizing your results, and even worse can be sabotaging potential gains! People often err with respect to eating the appropriate caloric level; comments such as "I eat all the time" are common with hard gainers. To put on size is technically simple — you must ingest more calories than you burn! How do performance supplements help? Basically they address "holes'' in nutrition, vastly improve recovery (muscle repair) and maximize the release of natural hormones through more restful sleep. Others magnify gym efforts by focusing overall intensity and stamina or reduce muscle wasting by preserving an anabolic state in the body at all times. 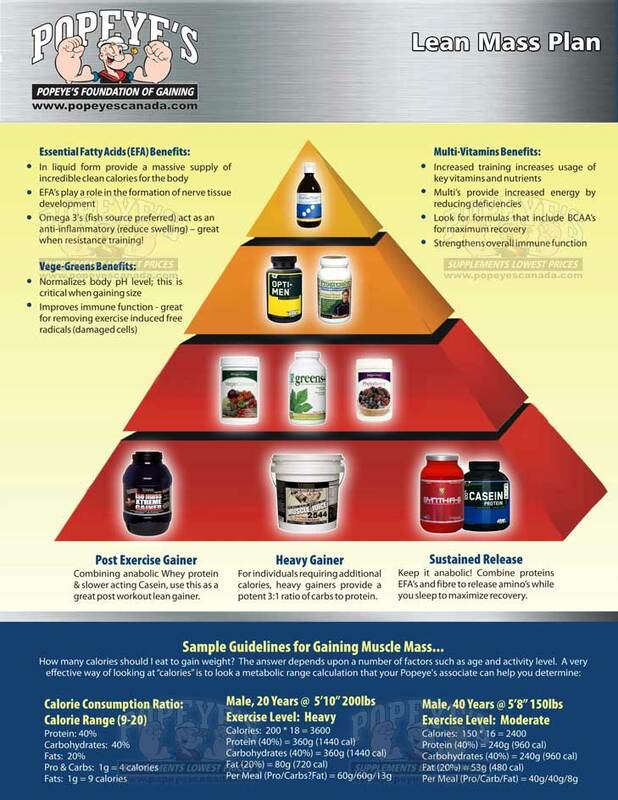 Clearly, performance supplements lend a very direct and potent hand to your fitness goals! "Fun" factor boosting blood flow into muscle tissue for huge "pumps"
Fuel the body; six meals per day are mandatory, not an option! Your protein intake is critical; 1g of protein per lb of body weight will give your body the raw material to grow. Carbohydrates should be focused on "low" Glycemic (slow release) and should be unprocessed.